Venice and Rome contain elements of Italy’s imperial past. 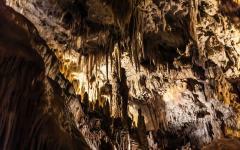 Grotte di Castellana highlights the natural wonders of the landscape. The conical rooftops of the trulli (stone huts) bring you into a world of fairytales. The multi-media exhibit inside Palazzo Valentini blends antiquity and ingenuity for an immersive experience the family will never forget. 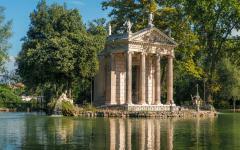 Your 10-day family vacation tour of Italy highlights the country’s famous attractions along the Adriatic Coast and the often-overlooked possibilities that Venice, Rome, and the region of Puglia provide, from gladiator school to cave dwellings, gondola instructions to garden delights. Your journey begins with the family’s arrival in Venice, one of the most visited cities in all of Italy. 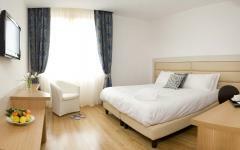 Your private transfer meets you at the airport and escorts the family to a luxurious hotel in a serene neighborhood. 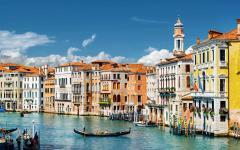 The following morning, you explore the Grand Canal and the Venetian Lagoon. Visit the islands of Sant’Erasmo, Burano, Torcello, Murano, and Vignolo during your excursion for a distinctive sense of life throughout the lagoon. 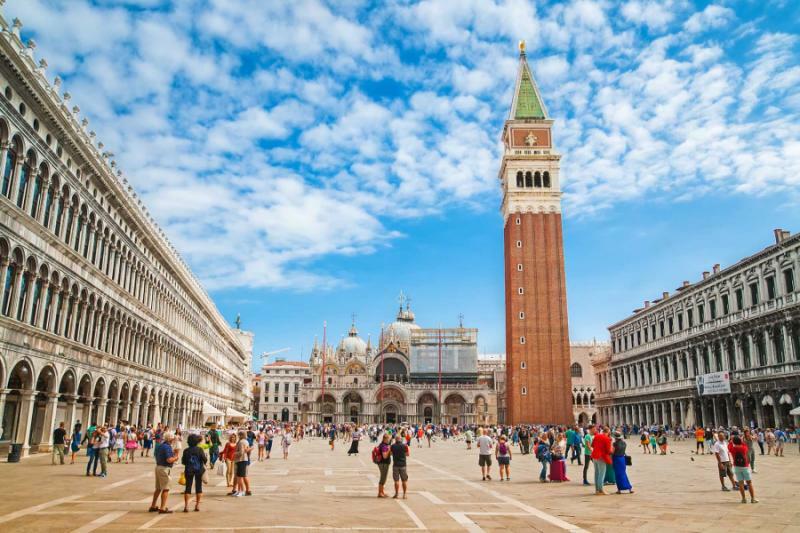 Next, your guide leads you on the first of many Italy tours, beginning with an exploration of St. Mark’s Square. Traverse the secret passageways of the Doge’s Palace, following in the footsteps of the Venetian Republic’s most powerful figures. Continue your immersion into the city on a special gondola ride where everyone in the family has a chance to guide the traditional vessel along the canal. 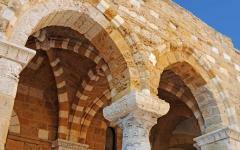 Then, fly to the southern city of Brindisi, located in Puglia at the heel of Italy. The city rests on the shores of the Adriatic Sea and claims the end of the Appian Way. You venture to the remarkable network of underground passageways at Grotte di Castellana. 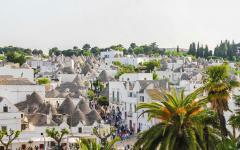 En route back to Brindisi, you stop in the remarkable town of Alberobello. 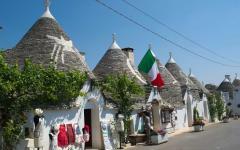 Traditional homes known as trulli (stone huts with conical roofs) decorate the neighborhoods. 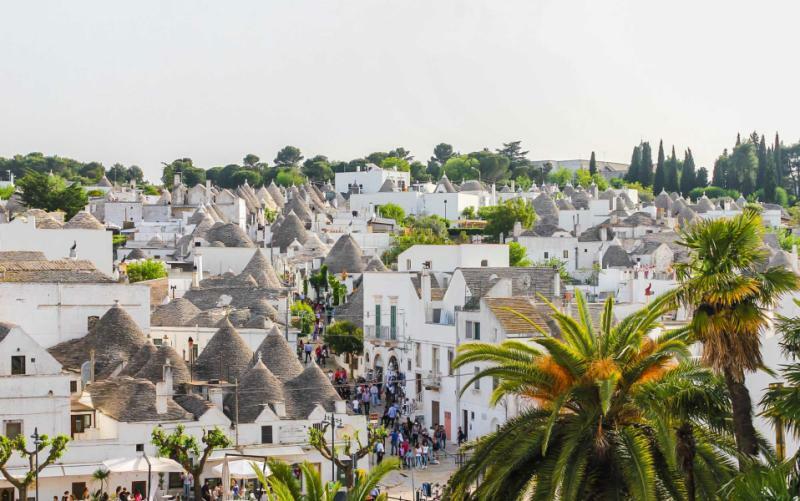 Afterward, you visit the charming town of Ostuni, known for its white pearl structures before reveling in the gorgeous scenery of Torre Guaceto Nature Reserve, home to sand dunes, beaches, and marshlands. Travel to the exceptional city of Matera to explore the upper and lower reaches of the streets. Witness the combination of medieval streets and cave dwellings set underneath the city’s foundations. Then, you make your way to Rome where the kids delight in learning at a Gladiator School. Spend time exploring the ancient gladiatorial artifacts in the Gruppo Storico Romano. In the evening, the family visits the iconic Colosseum for a night tour of the ancient grounds. The following morning, you visit Palazzo Valentini for an interactive view of recently refurbished Roman villas set beneath the mansion’s foundations. 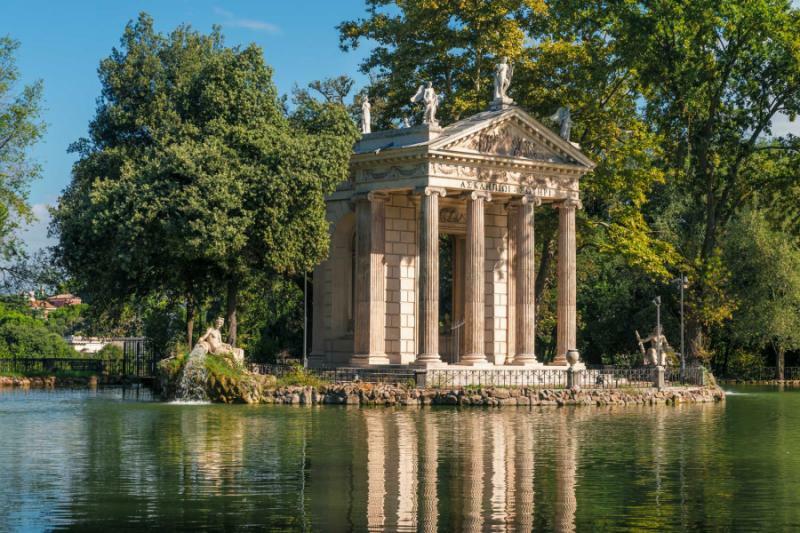 In the afternoon, the family tours the sensational gardens of the Borghese Museum. On your final day, your private transfer meets you at the hotel and escorts the family to the airport for your flight home. Venice is a city of majesty. Marble palaces line labyrinthine streets. Bridges connect cobblestone pathways. Canals lap against the edges of a tranquil café. Gondolas drift down the historic waterways. Vibrant masks decorate shop windows during the annual celebration of Carnevale, alongside glittering capes and dramatic coats. 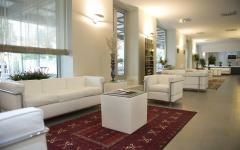 The family arrives at Venice Marco Polo Airport, where your private transfer is waiting. Step onto a water taxi that whisks you across the famed Venetian Lagoon to your fabulous accommodation. The water acts as a highway for boats traversing the city. Narrower canals resemble private streets. 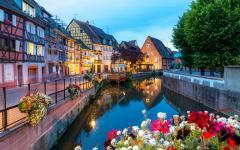 Locals linger in the canal-side restaurants and enjoy a glass of wine. 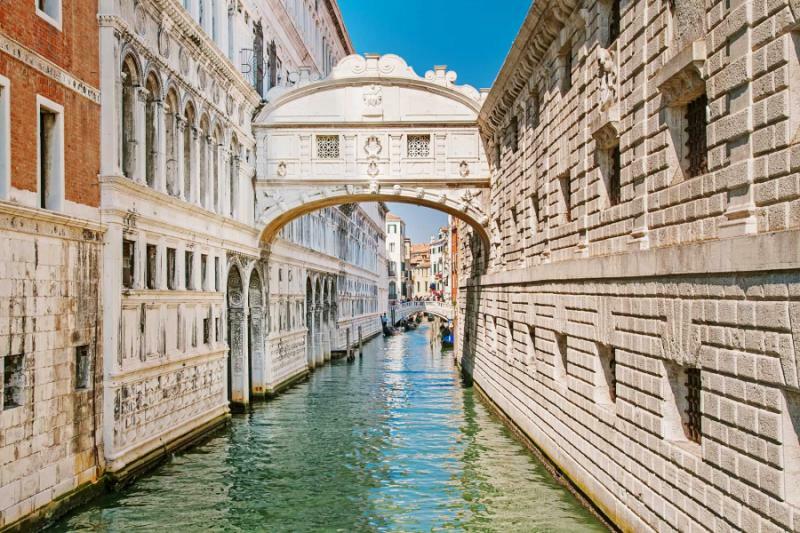 Ponte Rialto was once the only bridge that arched across the waters of the Grand Canal. The stone bridge was erected in the 16th century, replacing the wooden bridge. Gondolas and boats pass beneath the structural arch that reaches a height of 24 feet above the water. Visitors frequent the shops situated beneath the portico. Seeing the Rialto Bridge confirms once and for all that you have arrived in Venice. Consider learning more about the best Italy travel agents whom we partner with, and see how they are able to customize your itinerary to your family's particular interests and desires. In the morning, the cafes open their doors and set out their tables alongside the waking water of the lagoon. Moored gondolas bob along to the rhythm of the canal. At breakfast, you sip a rich espresso. The kids indulge in the Italian tradition of a freshly baked brioche. Your guide meets you at a small jetty after breakfast, ready to take you on an unforgettable tour of the Venetian Lagoon. 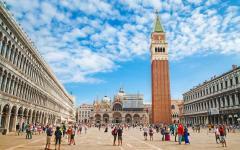 Your tour takes you away from the common routes of Venice. 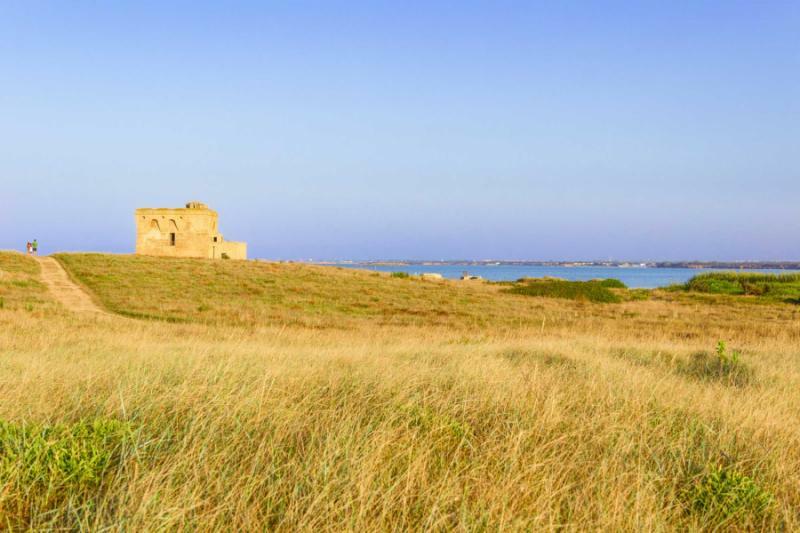 The island of Sant’Erasmo is the largest island in the lagoon and remains undisturbed by visitors. Vineyards and gardens have carpeted Sant’Erasmo since the 16th century. The soil’s mixture of sand and clay has helped fill the cultivated produce with rich nutrients. The tasty quality of the fruit, vegetables and wine was the cause for Sant’Erasmo’s nickname, “The Vegetable Garden of Venice.” You continue to Burano, a gorgeous island in the northern area of the lagoon, famous for its bright houses decorating the landscape and its lacemaking history. 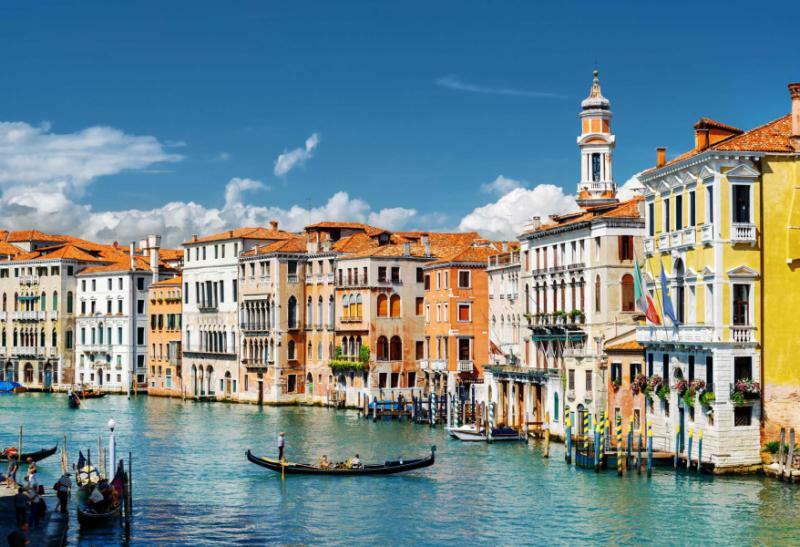 The historical qualities of Venice come to life along the quiet streets and tranquil canals. Locals hang their laundry on lines crisscrossing their gardens. Fishing boats weigh anchor off the island shore before they reach the smaller local canals. The lacemaking continues to draw praise from people around the world for its quality and history. The women of Borneo would sit outside their homes, lacing together marvelous fabrics while waiting for their fishermen husbands to return from sea. In the morning, the fish market near the Rialto Bridge bustles with people. The Gothic style building was erected in the early 20th century with carved capitals supporting the traditional arched portals. Sea creatures carved from stone decorate the marketplace, along with marble plaques that display the regulations of the Venetian fishing industry set centuries ago. A stunning display of octopus, squid, and soft-shell crabs fill the stalls near the produce stands, showcasing the locally sourced artichokes and radicchio grown on Sant’Erasmo. 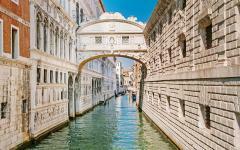 After breakfast, your guide leads you to Saint Mark’s Square to visit the extraordinary secret passageways of the Doge’s Palace. The Doge of Venice resided in the palace, beginning in the 14th century. The wing overlooking the lagoon is the oldest part of the palace and contains elegant sculptures viewable from the water. The Gothic architecture radiates across the exterior. Lavish decorations continue to fill the palace interior. Your guide leads you through the stone passageways, evoking the power of the former Republic. The most important men of that era would wander along the network of tunnels hidden by concealed doors. A narrow, steep stairway leads to the offices of the Doge’s Secretary. In the Secret Chancellery, you can imagine the charts and deals that once filled the cabinets encircling the room. Traveling through the secret passageways thrills the kids and shows the whole family a different side of the city. After your tour, you step aboard a gondola for a unique look at the famous boat. 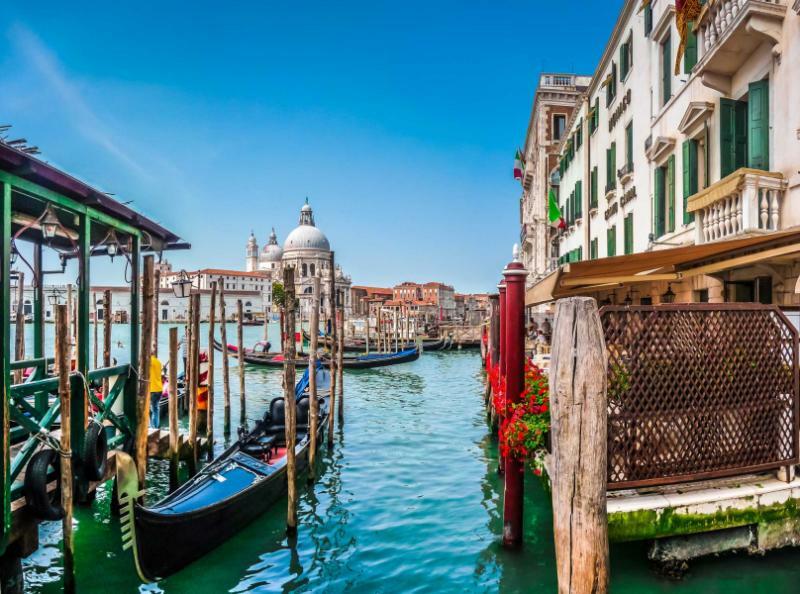 Gondolas have navigated the canals since the 12th century. 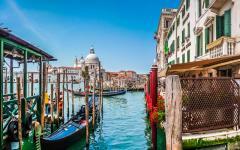 Everyone has an opportunity to learn the art of poling a gondola down the gorgeous canals. The boat moves forward with every push through the gentle drag of the water. The sunlight washes over the lagoon and glints off of the water. The 15th-century architecture of Palazzo Vendramin-Calergi has inspired architects and city planners across Europe throughout the centuries. Celebrated German composer Richard Wagner spent his final days in the palace in the late 19th century. The façade decorates the Grand Canal. 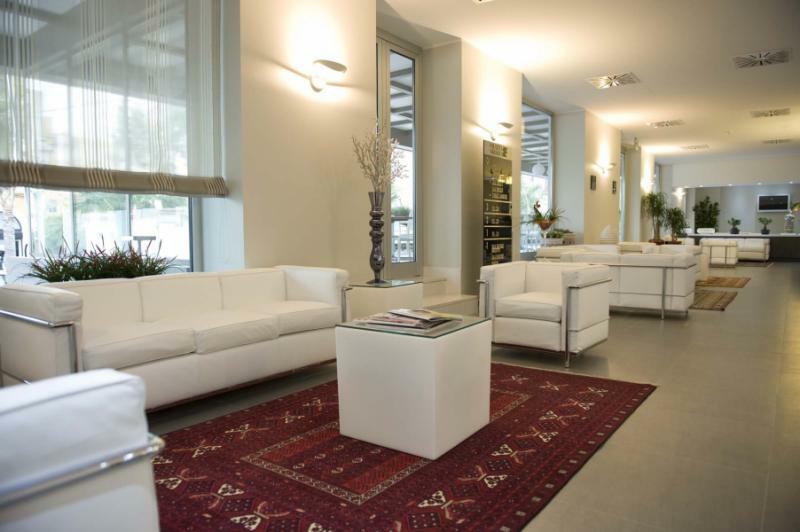 After breakfast, your private transfer escorts the family to Venice Marco Polo Airport for your flight to Brindisi, a city in the province of Puglia. The ancient Roman road Via Appia ends at the port. Palm trees provide comfortable shade along the relaxed pace of the main street of Corso Garibaldi, which connects the port to the train station. The city was once considered the gateway to the East. An esplanade borders the coastline. Dolphin’s Fountain was constructed in the 19th century and decorates the heart of Vittorio Emanuele Square. The Adriatic Sea shimmers turquoise against the white and red colors of the city’s historic buildings. 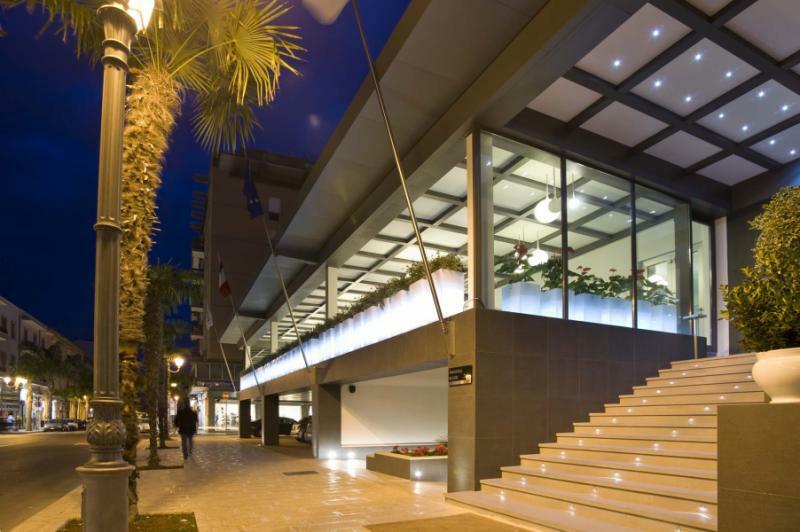 Your private transfer escorts you from Brindisi-Salento Airport to your stunning hotel, which rests near the heart of the town center. 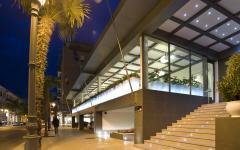 The family can spend the remainder of the day strolling along the coast and visiting the beach of Torre Santa Sabina. The water is crystal clear and brushes against the soft, fine sand. The Adriatic Sea laps against the shores of the city. Fishing boats set out from the marina in search of their daily catch. Cafes open their doors beneath the swaying palm trees. The decadent aroma of freshly brewed espresso blends with the gentle scent of the Adriatic Sea. At lunch, restaurants promise guests freshly grilled calamari dressed with olive oil and lemon. The Roman Column stands at the bottom of a stairway, signifying the end of Via Appia. After breakfast, you venture to Grotte di Castellana. The tour takes you through a network of natural caves. The first cave is nearly 230 feet below ground level and more than half a mile long. The limestone rock shields the terrain from the heat. Stalactites dangle from the ceiling in various shapes. Precious crystals sparkle in the light. The caves capture the kids’ imaginations and tell stories of the landscape’s formation over the course of millions of years. You end in the Grotta Bianca, the White Cave. The alabaster walls make the grotto look as though it was carved from ice. 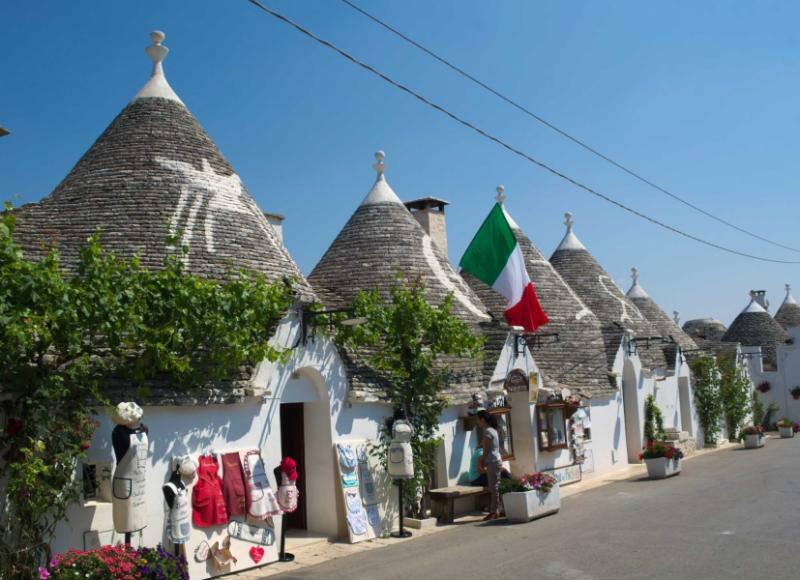 You continue to the small town of Alberobello to witness the wonderland of trulli, traditional dry stone huts with conical roofs. To the family, the structures resemble homes for fairies or hobbits. 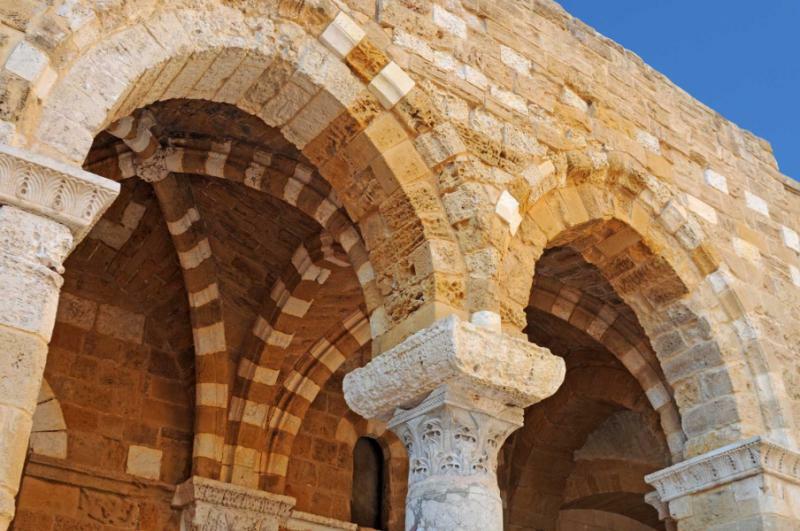 The buildings were erected in the 17th century and clustered together with limestone. The mortar-less technique has been passed down through generations of families residing in the area. A number of the houses contain mythological symbols on their rooftops, connecting the past to the present. In the warmth of the afternoon, the family can stroll through the serene lanes of town, relishing the refreshing flavors of a local gelateria. The whitewashed homes glow against the rugged hills of the encircling landscape. The golden sheen of the Dionisi Building fills the square with Venetian style. Fishermen weave new nets and repair their old ones near the water, listening to the gentle sounds of Adriatic. After breakfast, you make your way to the pearly city of Ostuni. The opulent white buildings overtake the hillside and resemble a crown. The town’s history predates Hannibal’s arrival in Italy during the Punic Wars. It encompasses the summit of the high hill at an altitude of 751 feet. The four gates encircling the city were erected in the 14th century. Verdant trees rush along the hillside and guide wandering eyes to the turquoise Adriatic Sea. The Gothic cathedral stands atop the summit. Light shines through the rose window and fills the nave with brilliant color emanating from the glass. The medieval streets twist and wind along the sloping landscape. Historic buildings separate at the street corners to provide exceptional views of the horizon. After your time strolling along the hilly streets of the town, you continue to the Torre Guaceto Nature Sanctuary to explore the four-mile stretch of beach. Sand dunes roll alongside the quiet estuaries. Olive groves grow near the beaches. Romans used the area as a harbor. Ancient kilns sporadically lay across the coastline. The city walls continue to run alongside the historic streets and connote the edges of the ancient city. 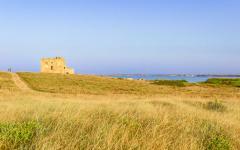 Aragones Castle stands tall on St. Andrea Island, protecting the port. The color of the brick has given the fortress the name, “The Red Castle.” After breakfast, you make the journey to Matera to spend a day amongst the unique characteristics of the historic city. Located in the region of Basilicata, just north of Puglia, Matera contains extensive cave dwellings. The upper section of the town was erected in the Middle Ages and covers the hillside and summit. Caves pepper the landscape, creating a honeycomb effect. You meet your guide in the heart of the medieval streets. Gray stone facades overlook the cliffs of the ravine. Your guide leads you into the Sassi, the network of caves beneath the cityscape. 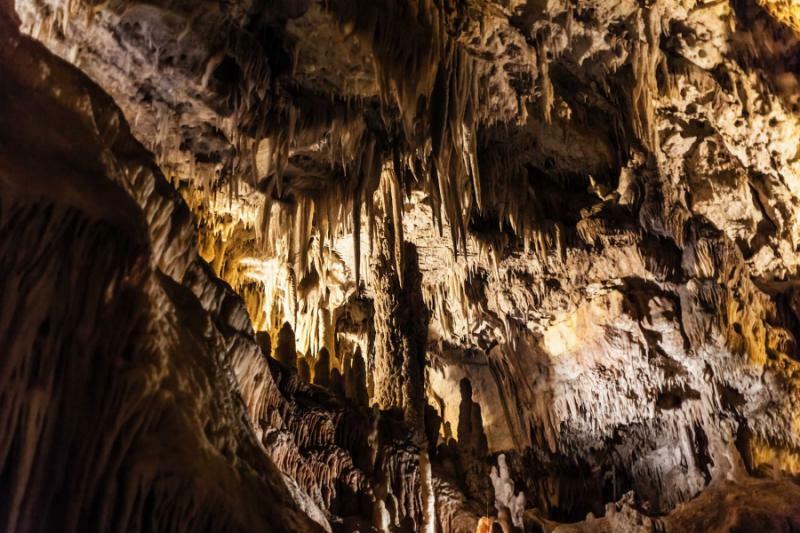 Venture into the Sasso Barisano, the first cave district. Small lanes and alleys lead to stairways carved out of the earth. At first, the caves resemble traditional village homes. Upon a second glance, you notice the facades hiding dwellings carved deeper into the rock, often forming one large room. The pale hues of the rock provide sepia tones to the region. The 12th-century Tancredi Fountain was erected in honor of the marriage between King Tancredi’s son and the daughter of the Emperor of Constantinople. Travelers used the fountain to refresh their animals and themselves after long journeys from outside of the city. 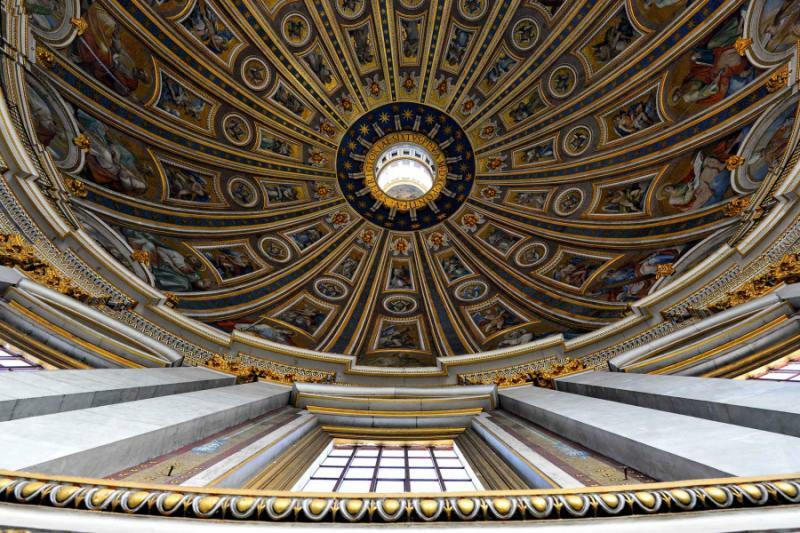 After breakfast, you make your way to the airport and fly to Rome. Your private transfer escorts you from Leonardo da Vinci-Fiumicino Airport to your luxurious accommodation in the heart of the city. Flower stalls decorate street corners. Artists sit in Piazza Navona and capture the beauty of the ornate fountains and Baroque mansions. 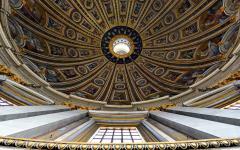 Ancient ruins remind locals and visitors of Rome’s layered history spanning thousands of years. Your guide leads you to the Gruppo Storico Romano Museum, where the kids leap at the chance to train like gladiators. Ancient artifacts, weapons, and costumes decorate the museum. Shields and leather armbands, helmets and masks create an unforgettable ambiance. The instructor introduces himself, dressed in costume and emulating the traditional garb of a trainer. He leads the kids through a two-hour class offering lessons in dueling. The kids eagerly put on their battle costumes and follow their instructor through the basics of gladiatorial school. When school is out, the family ventures to the Colosseum for an evening tour of the iconic Roman stadium. Spotlights illuminate the polished stone and storied archways. 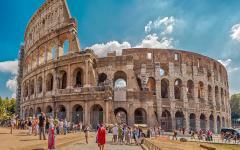 The Colosseum was built between 70 and 80 AD and could hold up to 80,000 spectators. Step through the halls and onto the partial platform. 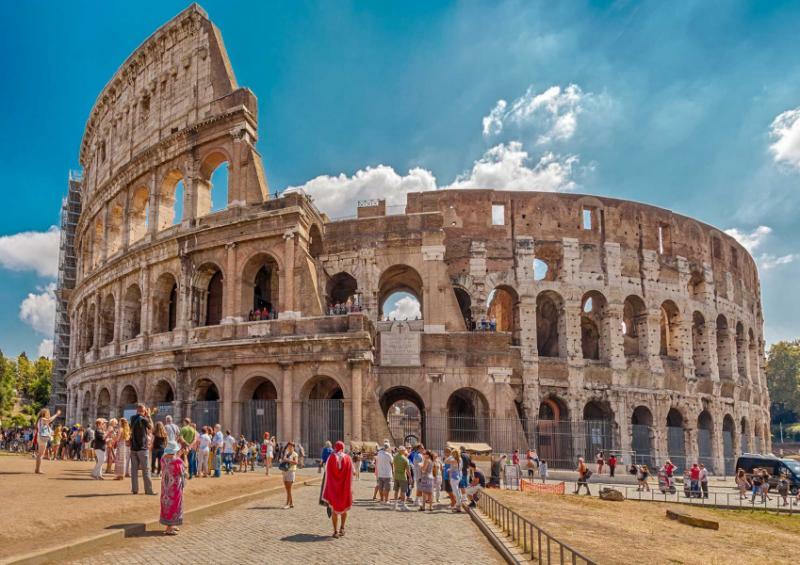 The central base of the Colosseum once covered the maze-like alleys and cells underneath the foundation where warriors and animals were held before a match. Your guide takes you through the depths of the archeological site. The kids follow in the legendary footsteps of the gladiators who came before you. In the morning, the waters of the Trevi Fountain trickle into the lavish pool. The 17th-century masterpiece depicts Neptune with his horses, flanked by goddesses standing above the representation of the sea. Visitors to Rome stand with their backs to the fountain and throw a coin over their shoulder into the water. The tradition signifies that the visitor will soon return to the city. After breakfast, the family makes their way to Palazzo Valentini, a 16th-century mansion built on the foundations of a former ancient Roman site. Archeologists discovered the original construction in 2007 and have since uncovered Imperial-era villas. Follow your guide into the past, descending below the floors of Palazzo Valentini and into the luxurious villas of Rome. Inlaid marble paves the floors. Colorful mosaics showcase the wealth of those that once resided in the estate. The past combines with the present through various multi-media mediums that automate the rooms as you walk through. Notice the heating system for the private baths and layers of ash from a fire that once tore through the home. Experience Rome as it was 2,000 years ago, from sight to sound, inside the refurbished antique villa. The morning light spreads across the ancient steps. The stairway was erected in the 18th-century connecting Piazza Trinitá dei Monti with Piazza di Spagna. The church of Trinitá dei Monti crowns the upper square. A fountain resembling a boat decorates the lower square. Students crowd around the steps, playing guitar and studying in the afternoon. The elegant shops of Via Condotti, one of the most fashionable shopping streets in the city, opens their doors to the public. Caffé Greco sets out tables and chairs for passersby to relish a cappuccino. 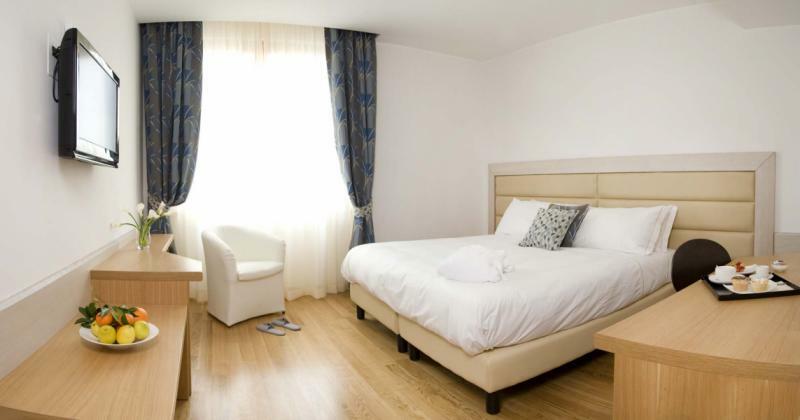 Your private guide meets the family at the hotel and escorts you to Leonardo da Vinci-Fiumicino International Airport for your flight home.